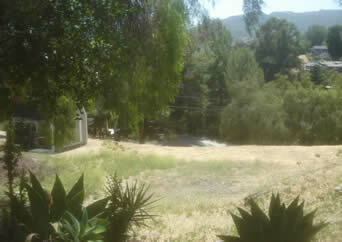 Nice, natural flat area with pretty mountain views, pepper trees & gentle breezes. Great neighborhood!!! Utilities, easy access, peaceful rural residential area with recent home sales well over a million. 3 lots. Survey/topo on file from MacNeils. Viable site for 1 or 2 houses. $239,000.